Relax. You've arrived! "Benvinguda a Perpinyà!" Discover the treasures that beautiful Catalonia has to offer! We are here to make sure that you enjoy your stay. 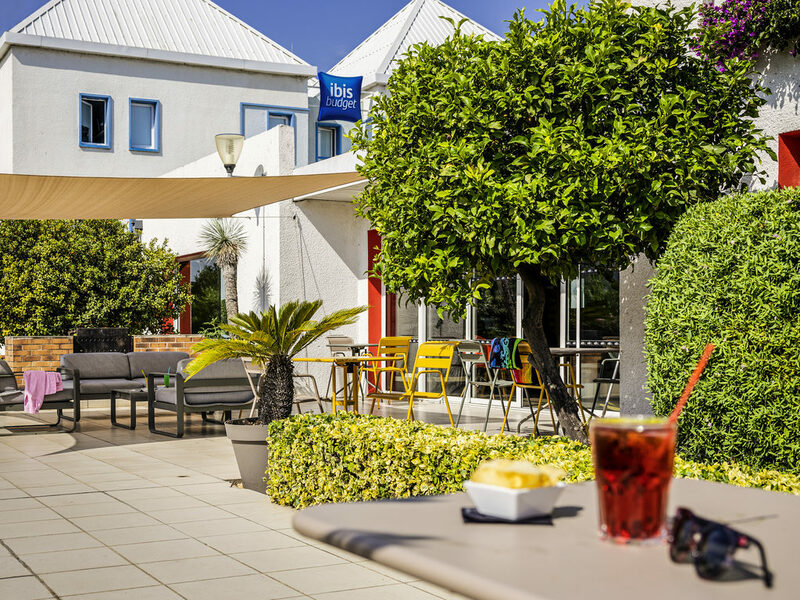 The ibis Budget Perpignan Sud hotel is located near the Spanish border, 2 minutes from exit 42 (highway A9), at the St-Charles roundabout. Located between the sea and the mountains, its geographical location is ideal for tourist attractions; at the foot of the Canigou for hiking, 20 minutes from the beach and 5 minutes from the city center. 24-hour reception. Rooms for up to 3 people at no extra cost, equipped with a shower, sink, toilet and air-conditioning. Large private car park (free).